Everyone has some character flaw they need to work on, and since Lent is the perfect time for attempting correction, on every TUES. of Lent remember this acronym: “Try To Understand Everyone’s Side. Left/Right, Conservative/Liberal, Wife/Husband, Parent/Child, Parent/teen, Man/Woman … take the time to truly listen when a person may disagree with something you believe. Only then can we engage them in a conversation. You do not have to agree with them, but when we understand the reasons for their belief, we may be able to gently nudge them into understanding why we believe as we do. Try to Understand Everyone’s Side… for most, it is not easy. Temptation calls us to disengage from those with different views, to marginalize them, make fun of them, discredit them and imbue them with all things negative. If we are to be Christ-like, we too need to rise above the human temptation of always being right, of always having the final say. And on a much larger scale, but in keeping with the thought of taking the time to understand another’s view, someone once believed, contrary to all acceptable teachings, that the Earth was not the center of the universe. 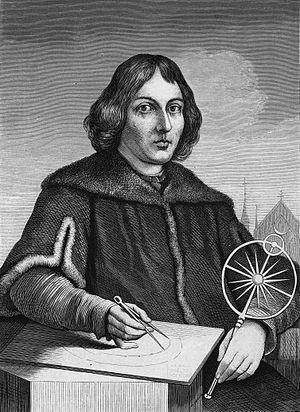 This learned man, Nicolaus Copernicus, born on February 19, 1473 in Poland and who attended school in Krakow, became known as the Father of Modern astronomy; the world eventually listened to him and came to understand the truth of what he preached. This Lent, be open to allowing others to voice their opinions. Hear what others are trying to say. And may we all, as Catholics, find the courage to voice our convictions, defend our Church, when necessary.